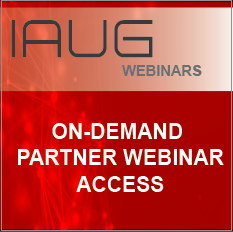 IAUG offers a vast library of webinar recordings, below you can access IAUG Partner Webinars as well as IAUG member only technical webinar recordings. Be sure to take advantage of this learning opportunity by checking these webinars out today. Not a member? Join here. *NOTE: If you attended Avaya ENGAGE or already purchased the sessions, you can find the 2019 Avaya ENGAGE Sessions Content community in your profile under the communities tab.